On 12 February 2014, a major earthquake occurred near the Yutian County, China. 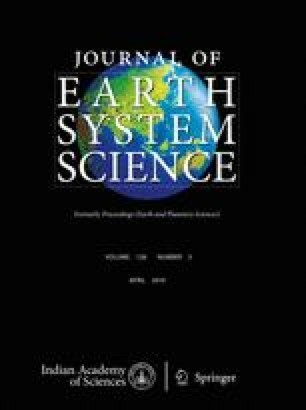 In this paper, the ionospheric variations around the time of this earthquake were analysed on the basis of the global positioning system vertical total electron contents (VTEC) and computerised ionospheric tomography (CIT) electron density distributions. Three ionospheric anomalies on 2, 17 and 19 February were detected with the global VTEC data from Center for Orbit Determination in Europe before and after the earthquake. Based on the analysis of the geomagnetic indices, we think the anomalies on 17 and 19 February could be related to the geomagnetic disturbances. Through further investigations on the temporal and spatial characteristics of the anomaly on 2 February, we draw the conclusion that the pre-earthquake ionospheric anomaly is probably the seismo-ionospheric precursor of the Yutian earthquake. In addition, the CIT results of the anomaly on 2 February were used to study the vertical distribution of this anomaly. The results showed that the ionospheric anomaly was mainly concentrated at the heights between 200 and 400 km. We would like to thank CODE and CMONOC, respectively, for providing GIM data and local GPS observational data. We are also grateful to the NOAA National Geophysical Data Center and WDC for Geomagnetism, Tokyo for providing geomagnetic indices. This research was supported by the Special Foundation from China Earthquake Administration (grant no. IS201506219).